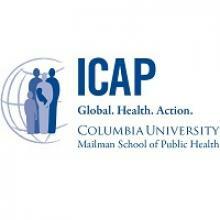 Mailman School of Public Health (MSPH) Tanzania LLC- ICAP is a not-for-profit organization registered and operated by The Trustees of Columbia University in the City of New York, in the United States of America. MSPH Tanzania LLC is also known locally as ICAP, an entity that began collaborating with the Ministry of Health in Tanzania in 2004 to reduce perinatal transmission of HIV and support the rapid scale up of HIV care and treatment. ICAP now works in close partnership with the Ministry of Health, Community Development, Gender, Elderly and Children (MoHCDGEC) and provides capacity-building support and technical assistance (TA) for the national HIV and tuberculosis (TB) programs. ICAP is now seeking for competent and dynamic individuals with strong technical knowledge to fill the below temporary positions for Project ECHO. ICAP and National AIDS Control Program (NACP) under the direction of the Ministry of Health, Community Development, Gender, Elderly and Children (MoHCDGEC) with support from Centers for Disease Control and Prevention (CDC), has been supporting pilot implementation of an HIV tele-mentoring program (Project ECHO) at 12 health facilities in Tanzania. The ECHO model is aimed at treating complex and chronic health conditions in underserved communities by linking less-experienced providers with subject matter experts through tele-mentoring sessions to address some of the gaps across the HIV Clinical cascade. ICAP will also support the evaluation of the ECHO model, with particular focus on assessing feasibility and acceptability of the model to support capacity building of health providers. To this effect, ICAP is seeking qualified individuals to support the evaluation, to lead focus group discussions and in depth interviews with participants. 1. Evaluation Supervisor – Temporary Hire (1 post): Reporting to Program Specialist; the Evaluation Supervisor will be responsible for leading and conducting Focus Group Discussions (FGDs) and In-depth interviews (IDIs) with healthcare providers and facilitators who have participated in the tele-mentoring sessions. Work with study coordinator to schedule appointments for FGDS and IDIs with healthcare providers and facilitators of ECHO sessions. Recruit participants and conduct IDIs and FGDs in Dar es Salaam, Kigoma and Shinyanga regions. Transcribe and translate IDIs and FGDs to English. Support basic data analysis and summarize content of IDIs and FGDs. Securely transfer and store digital recordings and IDI/FGD transcripts. Communicate regularly with ICAP study team regarding the activities. Public health or Social Science degree. Experience with National guidelines on health projects evaluation. Work with Evaluation Supervisor to prepare for FGD and IDI sessions. Registration of FGD and IDI participants. Support FGDs and IDIs as needed. Process data from participating health facilities. Work with Evaluation Supervisor to Transcribe, transcription and Translation of collected information from FGD and IDIs. Relevant degree (medical or Social Sciences). Strong Interpersonal and computer skills. Fluent in English Language both verbal and written.